Combining a wide range of traditional genres such as portraiture, abstracts, candids and even fashion and architecture in one broad category, street photography has become a very popular category in its own right for photographers. 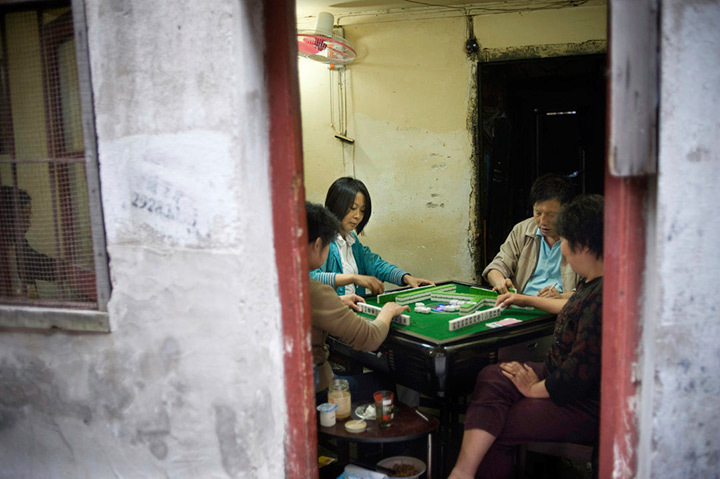 Old Town, Shanghai photograph © Ciril Cincet. Moderate focal lengths are a good choice for street photography. They provide a more natural perspective that’s closer to the human visual system than more extreme models. Nikon D700 with AF Nikkor 35mm f2.0D. Although there are no hard and fast rules, moderate focal lengths tend to work best for street photography, due to their portability and discreet size. 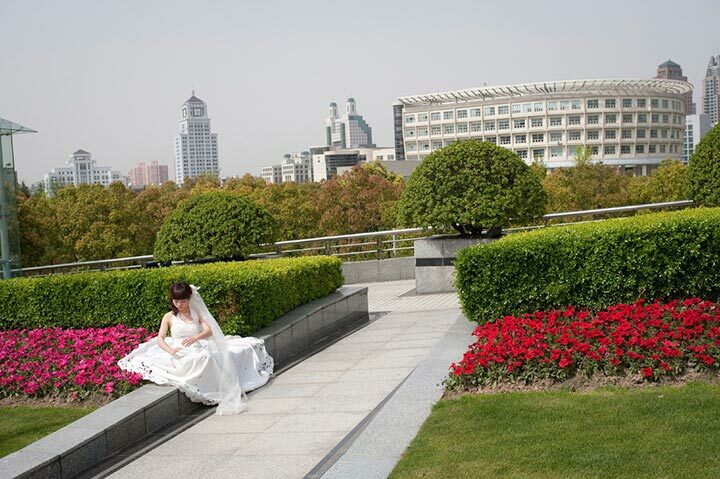 In fact a moderate wide and short telephoto are generally all you need for most general-purpose photography. Photograph © Ciril Cincet. Street photography, like ‘candids’ aim to depict the subject as it is, and a moderate focal length allows you to shoot from normal distances. Nikon D700 with AF Nikkor 35mm f2.0D. On that basis we’ve chosen to bypass zooms this time, looking at fast (but not ultra high speed) primes in a focal length range of around 35mm to 40mm and 85mm to 100mm, though it’s fair to say there will be photographers that prefer either slightly wider or longer, or even faster focal lengths than this. We’ve also chosen models based on a combination of their small size and imaging performance but, not exclusively so. Inevitably, there are compromises. Photograph © Ciril Cincet. 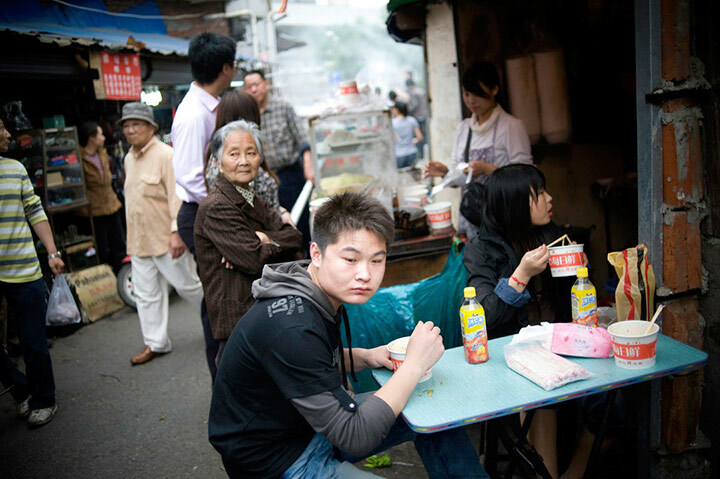 Moderate focal lengths such as the 35mm lens used here provides a slightly wider angle of view than a normal lens to capture people in their surroundings. Nikon D700 with AF Nikkor 35mm f2.0D. Although DSLRs and mirrorless cameras are obvious choices, due their flexibility for one, there has been a number of large sensor compacts from Ricoh, Sony and Nikon, which also deserve attention. 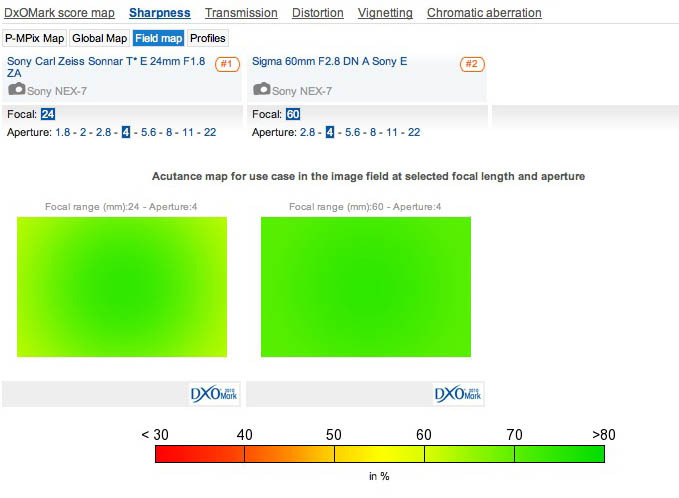 There are also highly capable and rightly popular models from Sigma, Fujifilm and Leica, of course, but we’ve yet to decode Raw files derived from the Foveon and X-Trans sensors. That may change in the future, but for now we’ve concentrated on the full-frame Sony Cyber-shot RX1R, and APS-C format Ricoh and Nikon models. 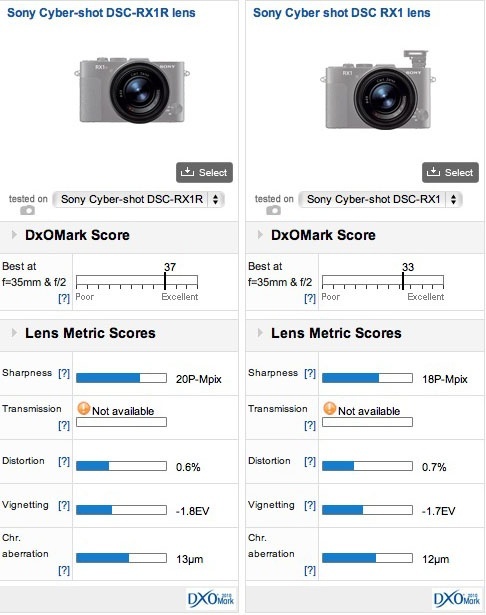 One of the most promising additions to the market came in the form of the Sony Cyber-shot RX1, a tiny fixed-lens model featuring a full-frame 24-Mpix sensor and later, the RX1R, a modified version sans AA filter for improved sharpness and resolution. Both cameras feature the same high-quality Zeiss Sonnar T* 2/35 (35mm f2.0) with both autofocus and a manual aperture collar. As you would expect as premium models, they have a premium price, around $2,800 each. 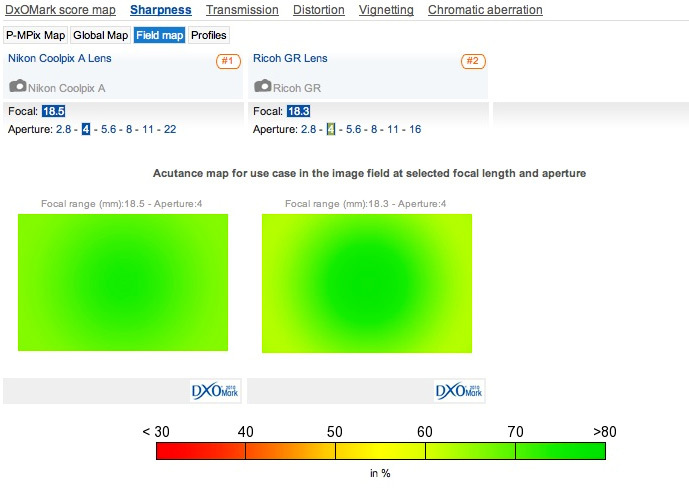 Although it’s the same lens on both bodies, the lack of an AA filter marginally affects the performance. It’s perhaps most pronounced at the intital aperture where the RX1R has notably higher sharpness across the field, paricularly in the periperhery, however, as you might expect, central sharpness is still good on the RX1. 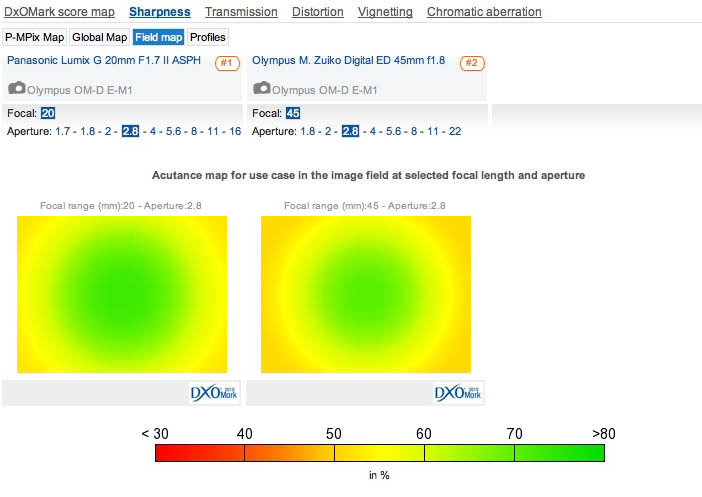 This higher sharpness continues throughout the aperture range, with f8 being the optimal aperture, though the difference between the two may be diffiucult to spot in use. Vignetting is noticable at full aperture and it never really clears up, not that it’s a real issue. There’s some slight barrel distortion but the simple profile is easy to correct in software, however lateral chromatic aberration is slightly higher than expected. Not long after the introduction of the Sony Cyber-shot RX1, Nikon announced the Coolpix A, a slightly smaller model with an 16-Mpix APS-C (DX) size sensor and slightly wider 28mm equivalent f2.8 lens housed in a magesium alloy shell. Like the Sony, the $1,000 Coolpix A has no room for a built-in viewfinder, though it has an optional if pricey viewfinder mounted via the hotshoe (however it’s optical instead of the Sony’s optional electronic offerring). 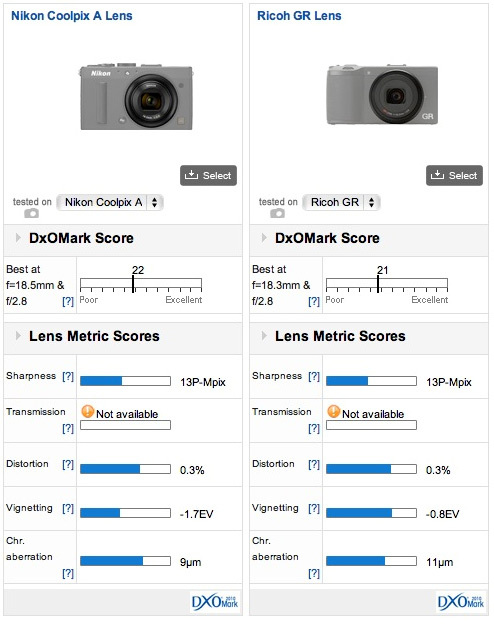 But it wasn’t long before Ricoh announced the GR with an almost indentical spec to the Coolpix A. It has a similar, retracting 28mm equivalent f2.8 lens and related 16-Mpix APS-C size CMOS sensor sans AA filter, all while undercutting the Nikon at $799. Not only that, but the general consensus is that the Ricoh has the better handling overall. 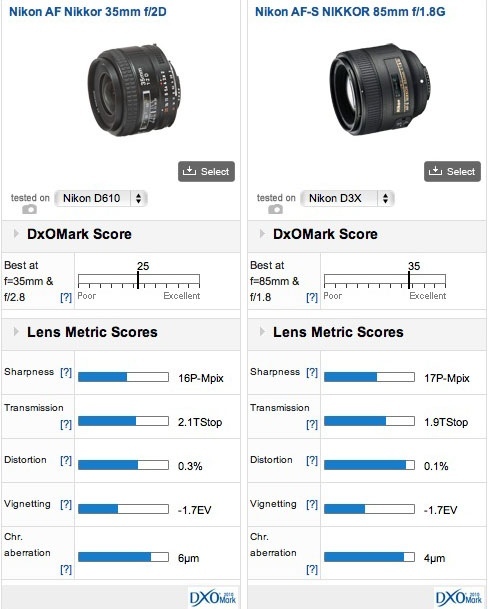 Although the specification is similar there are subtle differences between the performance of the two models, with the GR Lens having the edge on the Nikkor at full aperture, at least in terms of sharpness at the center. The Nikon has slightly lower sharpness and better uniformity though that’s masked somewhat in photos by the much higher vignetting. Optimal performance is achieved early in both the Nikkor and the GR Lens at f4, but it’s not so different from f2.8 in the Ricoh, making it the more desirable of the two for low light shooting. 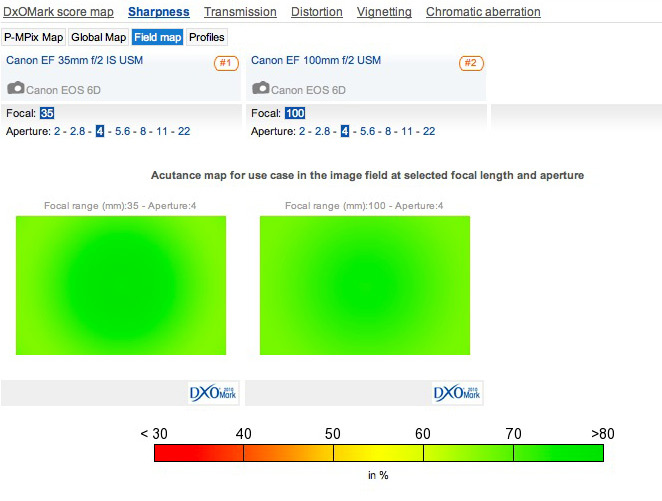 However the Nikkor has corner-to-corner sharpness at f4 whereas the Ricoh never acheives it any aperture setting. 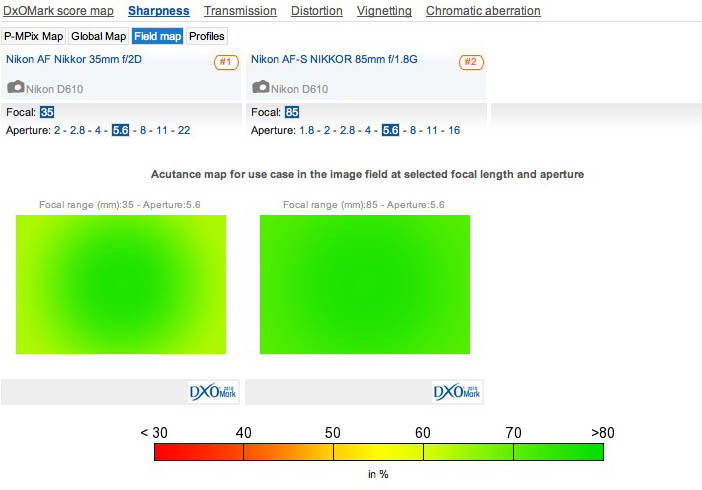 Distortion and chromatic aberration are similar and while image rendering is a subjective quality, the Nikkor has the similarily attractive drawing style of the older manual focus Nikkors of the early 80s. The Nikkor lens has the better unformity at the maximum aperture but the Ricoh has better sharpness, by f4 the Nikkor is slightly ahead across the field. While a 28mm equivalent might be a little wide for some street photographers, a 35mm equivalent f2 lens like that found on the Fujifilm X100S would have been ideal though likely too large for comfort on such small bodies as the A and GR. The 20mm is the equivalent to a 40mm and the 45mm is comparable to a moderate 90mm telephoto lens on a 35mm camera. Both are discreet and highly portable. 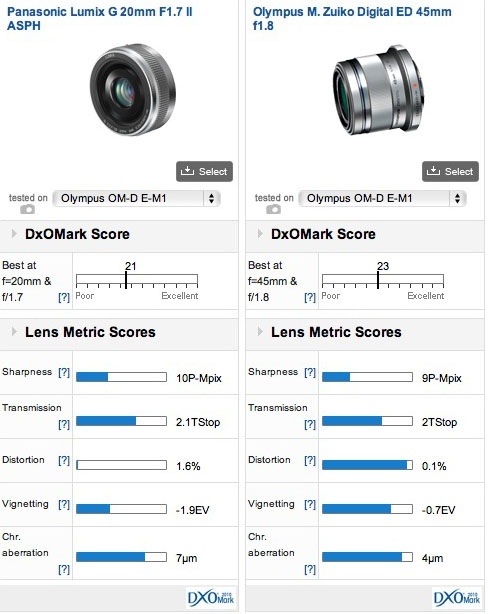 We’ve selected the 16-Mpix Olympus OM-D EM-1 for the presentation of the data – with no AA filter the E-M1 has currently one of the most discriminating sensors in this format. Both models have good center sharpness wide open, the 20mm slightly more so than the 45mm though the latter has better uniformity across the field. Stopping down, marginally increases sharpness but the 20mm model’s field curvature means the periphery never really matches the centers – though they get pretty close at f5.6-8. There’s some lateral chromatic aberration and there’s slightly higher than expected vignetting at maximum aperture but it has mostly disappeared by f2.8. Barrel distortion is a little higher than we would like to see but by all accounts this diminutive ‘pancake’ lens is an excellent performer. This cosmetically revamped version weighs just 3.07 oz (87g) and measures just 1.0” (25mm) in length. It’s available now at $400. Sharpness improves centrally on stopping down on both models, as you would expect, but corner sharpness is still some way behind at f2.8. 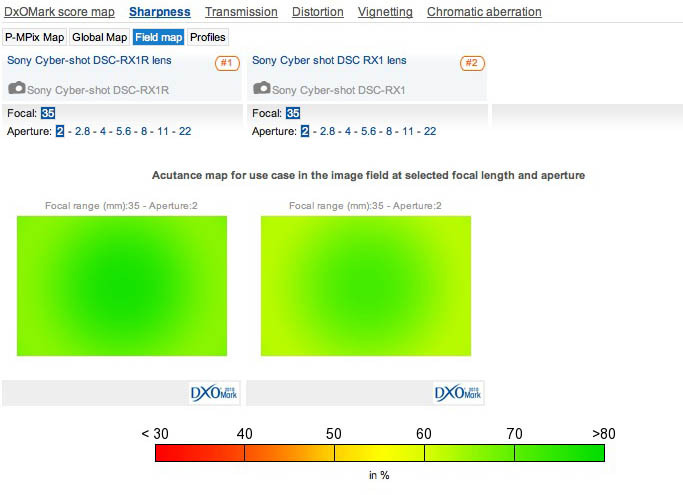 Optimum aperture is f5.6 on both models. Not much heavier at 4.09 oz (116g) and still compact with a 37mm filter thread and measuring 2.20” (56mm) in length, the 45mm f1.8 is an attractive option. Although sharpness at the initial aperture is good it has excellent central sharpness by f2.8 though the edges aren’t really a match till f4-5.6 though by then sharpness is already beginning to tail off. Lateral chromatic aberration is well corrected and vignetting is very low at the maximum aperture, it’s just noticeable in the corners but has disappeared completely by f2.8. 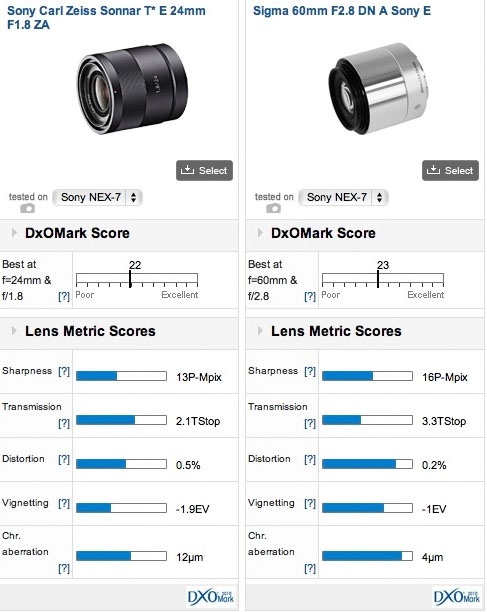 Sony may have been a little slow to add E-series primes for the NEX system but both Zeiss and Sigma have filled in somewhat, besides Sony has some very good models in the line-up already.That said there’s no 24mm or 28mm compareable models and only the one 35mm equivalent. At $1000, the Zeiss Sonnar T* E 24mm f1.8 ZA is a pricey option but likely to be at the top of many a Sony user’s wish list. At the other end of the focal length range, we’ve chosen the excellent Sigma 60mm f2.8 DN A. Although the Zeiss is a long and large lens measuring 2.59” (66mm) you might think vignetting would be low but it’s actually quite heavy at the initial aperture and, while image integrity is very good, sharpness isn’t all that impressive wide open. Stopping down to f2.8 improves things no end, with very good sharpness extending across most of the frame. Optimal performance is achieved at f4 with only the extreme edges and corners slightly behind in sharpness. More of an issue is the higher than expected chromatic aberration, though this is relatively easy to remove in software. With a similar field of view to a 90mm lens on a 35mm FF camera our moderate telephoto of choice would be the Sigma 60mm f2.8 DN A. At $239 it’s competitively priced given the performance. This lens may only have a modest maximum aperture but it has a high peak sharpness, low distortion and vignetting and good control of chromatic aberration. Wide-open, the Sigma is sharp right across the frame, from corner-to-corner. In fact it may be too sharp for a portrait lens though there are workarounds to that, if need be. Stopping down only increases depth of field – it doesn’t improve sharpness, while at f8 the softening effects of diffraction can just be detected. Vignetting and distortion are low, but about the only real negative is the somewhat lower than expected transmission, which is 0.5Ev lower than the f2.8 quoted f-stop. Peak performance is achieved at f4 on the Sony Zeiss T* E 24mm f1.8 while the performance of the Sigma is practically unchanged from f2.8 through to f5.6. Although the EOS Rebels are small and compact the lack of suitable EF-S prime lenses is a limiting factor. However while a full-frame 24mm f2.8 is the equivalent to a 38mm on something like the tiny EOS Rebel SL1 (EOS 100D), which would make a good choice, we’ve instead selected two traditional full-frame models, the new EF 35mm f2.0 IS USM and the film-era EF 100mm f1.8 USM on the full-frame Canon EOS 6D. Although the original list was only $50 cheaper than the vaunted Sigma 35mm f1.4 HSM A, it’s retailing now at a more realistic $599. It’s still not cheap exactly but the more modest Canon is significantly lighter and smaller and complements the Canon EOS 6D rather well. It’s stabilized as well, which extends versatility (and is also useful for video though that’s somewhat out of the scope of this particular feature). It doesn’t have the corner-to-corner sharpness of the Sigma at the initial aperture but uniformity improves on stopping down. Peak sharpness is very high, measured at 18P-Mpix. Vignetting while not exactly low isn’t high either and chromatic aberration and distortion are both well controlled. The Canon EF 100mm f2.0 USM is another fine performer, especially given its age and modest price – it’s extremely well corrected at all apertures. The only give away is that peak sharpness (measured at 15P-Mpix) is a little on the low side compared with the company’s latest models. While optimal performance is at f8, it’s sharp from corner-to-corner even at maximum aperture so you really only have to consider depth of field – there won’t be any nasty surprises. Vignetting is low with smooth transitions at the maximum aperture, which has all but gone save for a little at the extreme corners at f2.8, and chromatic aberration is also similarly low. Transmission isn’t as impressive as the newer designs, but at $499 this is an attractively priced model with a competitive price. By the time you read this Nikon will have announced the successor to the AF Nikkor 35mm f2D but for the time being this model on the full-frame D610 performs well optically, and has fast focusing even if it lacks the built-in sonic-type AF motor of the newer models. There are better performers in our database, the Zeiss Distagon T* 2/35 and the ‘Art’ series Sigma 35mm f1.4 HSM A but these aren’t particularly small and stealthy. While the Samyang is competitively priced it’s also very large, and lacks AF though that’s not necessarily a bad thing for street photography. Although the Nikon AF-D 35mm f/2 D was designed for film it has good sharpness overall with peak sharpness measured at 16P-Mpix. However it has poor corner sharpness at maximum aperture and although the center sharpness is excellent at f2.8, the corners still aren’t much better. Corner sharpness is good by f5.6, with peak performance at f8. Vignetting while not high for this type of lens, is still very noticeable at maximum aperture but distortion and chromatic aberration are well within the expected tolerances. Corner sharpness at wider apertures is disappointing on the AF Nikkor 35mm f2D but there’s no so such problem with the newer AF-S Nikkor 85mm f1.8G, it has terrific uniformity at every aperture. Our moderate telephoto choice is the relatively new Nikon AF-S Nikkor 85mm f1.8G. With a 67mm filter thread and 3.1” diameter it’s quite large lens, though at 0.7 lb (350g) still quite light and portable. At $690 the price is on the high side but it has excellent sharpness at all apertures on the D610, low chromatic aberration and negligible distortion. Vignetting is quite noticeable at full aperture but this has gone by f4. While it would have been good if Nikon had made it smaller and less intimidating-looking, it’s an excellent all round performer. 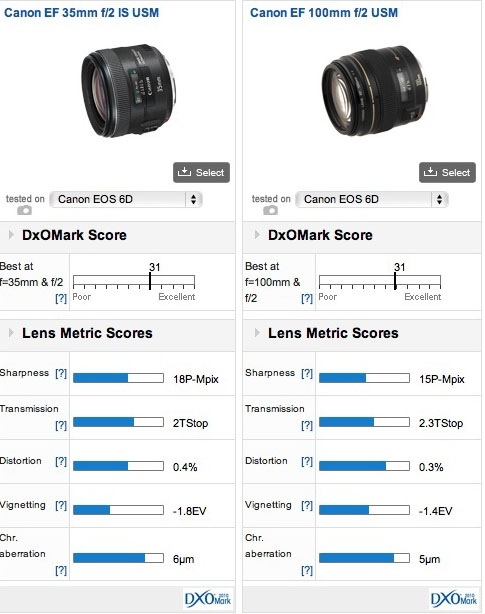 We’re working hard on expanding the coverage of lenses, but we’re interested to know if there are certain models that you would like to see reviewed first. Please leave your recommendations in the comments section below.